ao textiles is a design consultancy that creates bespoke fabric for fashion and interiors with the highest level of craftsmanship and the lowest possible environmental impact. Emma D'Arcey, Karen Spurgin and Penny Walsh founded their unique partnership in 2006. While collaborating on Aveda’s ecouture collection they discovered that their diverse skills in hand-marbling, embroidery and natural dyeing worked harmoniously together. The woven, embroidered and print based fabrics that ao produces put sustainable choices at the heart of production methods. These innovative textiles demonstrate environmentally responsible design that is both repeatable and marketable. 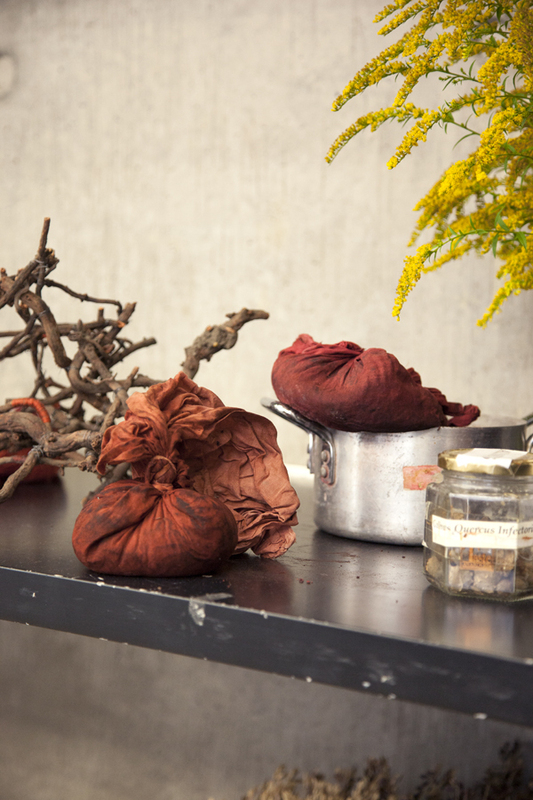 Through upcycling, introducing local sourcing and showing that a vibrant range of colour can be achieved from plant dyes, ao textiles have seen their work appear on the red carpet at the 2012, 2013 and 2015 Oscars and gained recognition from the EFF Source Awards. ao’s dyeing process received the stamp of approval from Greenpeace International’s detox Fashion Campaign.